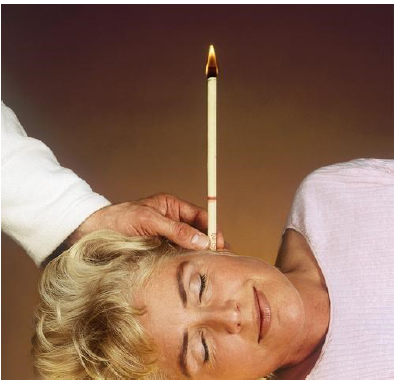 The ancient technique of thermal auricular therapy is a pleasant and non-invasive treatment of the ears, which benefits a wide variety of ear, nose and throat related ailments including sinusitis, asthma, colds and flu, headache, migraine, glue ear, compacted ear wax, catarrh and for stress relaxation. The candles work on a chimney principle, drawing any impurities to the surface where they can be gently removed. They induce a revitalising heat upon the head and ears, which soothes, relieves and relaxes.